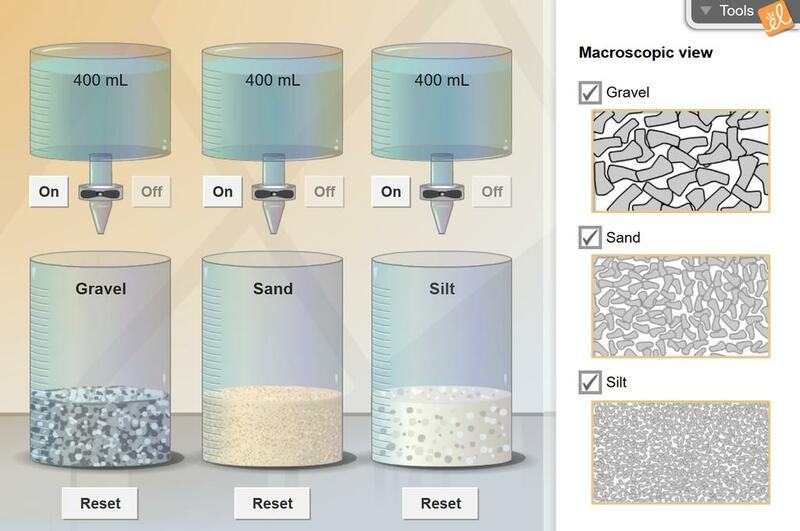 Pour water on a variety of sediment samples to find how much water can be absorbed by the sample (porosity) and how easily water flows through the sample (permeability). Application of this gizmo to increase understading of how Radon gas move through soils and into homes. Al... (more)so steps to mitigate this effect using an understanding of porosity and its relation to permeability.